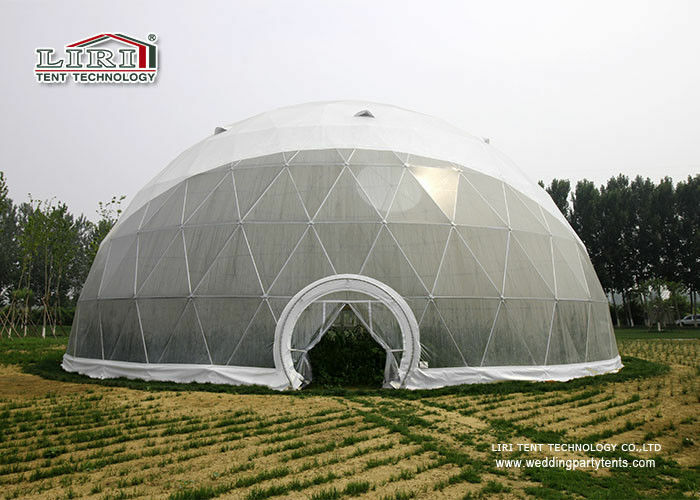 Large Aluminium Alloy Geodesic Dome Tent With Clear PVC Fabric is our lastest design and it is also very special shape and popular in Europe and America because of special of our normal tent . 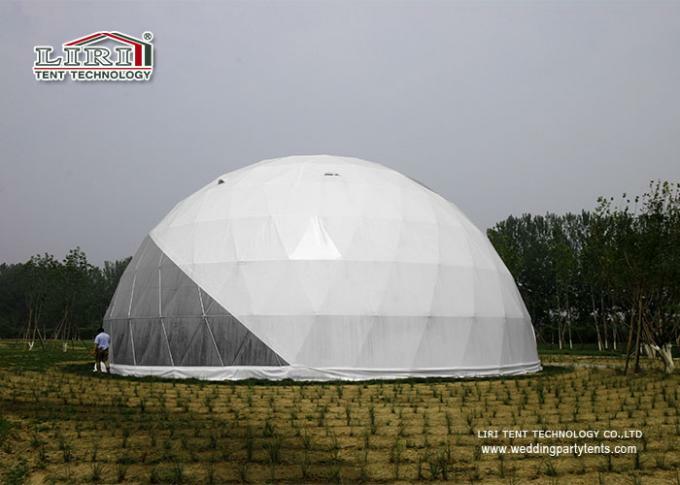 This dome tent are use for outdoor catering for Beijing. And it can use for movies reflect and cocktail party and family party and so on . This tent with clear pvc window and door, it is very strong, which frame can use 20 years while pvc can use 10 years . Acutally , it is very economic if you consider from long - term interestes . 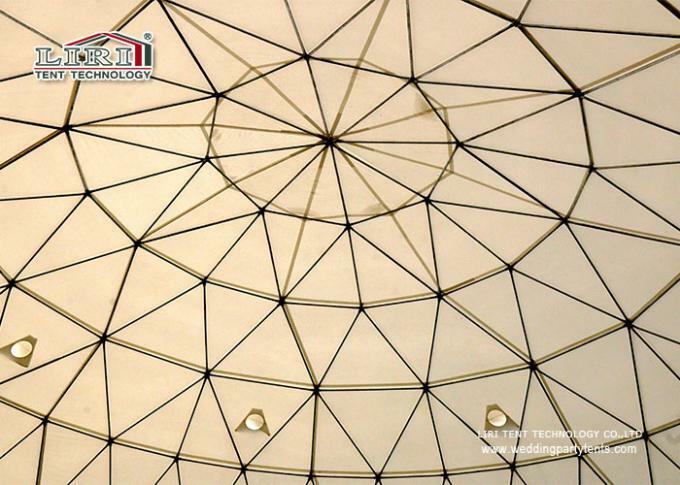 Meanwhile, the geodesic dome tent can do customize size according to your requirements. Frame : Hard pressed extruded aluminum 6061/T6, anodized surface finishing. Minimum tent length: In order to reach the designed wind load and make sure the tent is safety, pls set up the tent with the required minimum tent length .